Fine Chemistry is a profession in its own right. It is used to develop special substances such as coatings, UV inks, adhesives, agro chemicals and critical ingredients for the cosmetics, pharmaceutical and food industry. 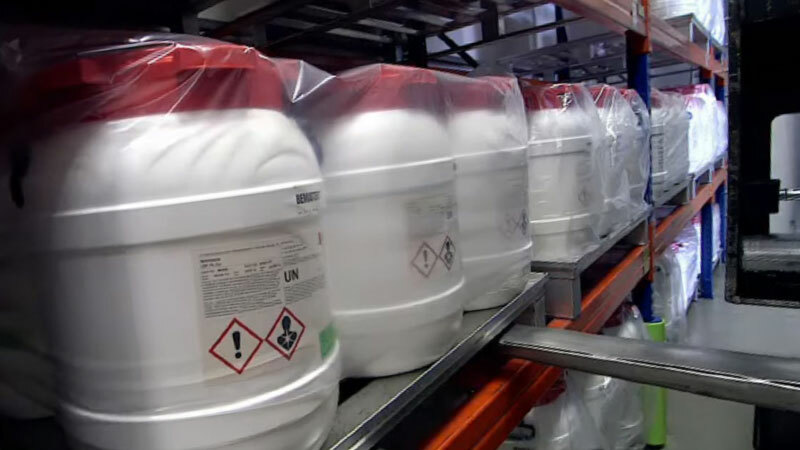 CurTec is closely tied to the specialty chemicals sector and has been supplying highly certified UN packaging for various applications including hazardous materials for years now. Despite the fact that Fine Chemistry is a smaller industry than Process Chemistry, it distinguishes itself by products with higher added value. High-value products demand packaging that offers maximum safety and security. CurTec supplies packaging solutions for chemical companies which are looking to increase product safety during transport, storage and use – sustainable cost efficient packaging. CurTec’s HDPE packaging is robust, water vapor tight and resistant to a large number of chemicals. It is independently tested and approved for shipping hazardous materials and certified in accordance with FDA and EU food safety and pharma regulations. CurTec is committed to protecting your supply chain and raising your customers’ satisfaction. Would you like to know how?